You may have heard that I have a new series about Valkyries coming out, but other than that, I haven’t said much about it, even though I have been hard at work on the books for a year (I’m currently just finishing up the second book now). It turned out to be an intense, ambitious duology, and I am certain that this is far and away my best work. I pushed myself way out of my comfort zone and took risks that I think really paid off. 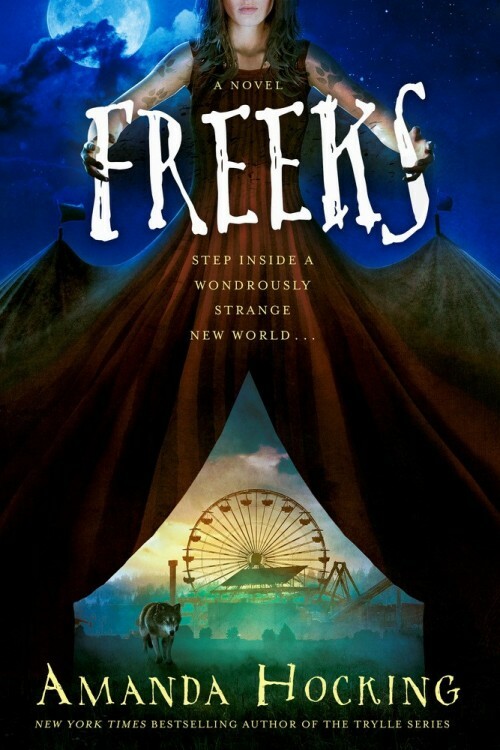 It’s dark and gritty, but also beautiful and filled with all types of monsters and mythologies. Malin is nineteen-year-old Valkyrie, and she’s the deeply flawed heroine who leads a cast of diverse characters in a world that is running out space and time. As one of the Valkyries, Malin’s duty is to slay immortals and return them to the afterlife. But when she unearths a secret that could unravel everything she knows, Malin must decide where her loyalties lie. At the same time, she wonders if helping blue-eyed boy Asher enact his revenge is worth the risk, all while her ex tries to get back into her heart. 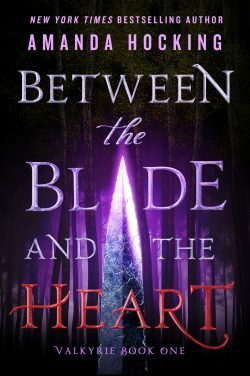 Check out Entertainment Weekly’s cover reveal for more info and an excerpt from Between the Blade and the Heart! 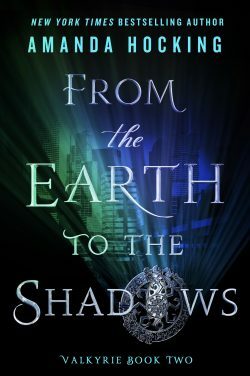 Right now, both Between the Blade and the Heart and From the Earth to the Shadows are available for preorder in paperback, but they will be out in ebook also (and up for preorder closer to the release dates). Both books will also be out worldwide in English, and I will post more once I have the official release dates and covers for the UK, Australia, and elsewhere. The ebook version of Swear includes a sneak peek at my standalone novel Freeks (which will be out January 3, 2017). The paperback edition of Swear includes a Freeks sneak peek as well the novella Letters to Elise. The novella was too short to release in print on it’s own, so I thought coupling it with the paperback would be a great way for readers to get a hardcopy of it. You can get the paperback: here. At the moment, Swear is available in ebook everywhere ebooks are sold, but it’s only available in in paperback from Createspace. It will be up at Amazon and Barnes & Noble.com, but it takes a few days time to get into the system. This book is self-published, so it won’t be available in stores – only online. Right now Swear is only available in English, but I do believe that there will be audio and foreign language translations in the future. I literally just finished the book a month ago, though, and my agent started shopping it around to foreign publishers then, so it will still be quite some time before it comes out in other languages or audio. I just wanted to get the book out as soon as possible because people have been waiting so long, but unfortunately, there will still be a longer wait for publishers in other countries. You can read a recap of the first four books in the My Blood Approves series: here. You can read the first three chapters of Swear: here. You can check out fun facts (like birthdays, middle names, etc) for My Blood Approves: here. You can listen to the soundtrack for Swear: here. You can see my dream cast for Swear: here. Giveaway ends November 20, 2016. It’s only a few more days until the final book in the My Blood Approves series is released! Since there was a gap between the release dates of the fourth book Wisdom and this book Swear, I thought it would be fun to do a quick recap to work as a refresher before you dive into the final book. This post will be covering the first four books in the series, so obviously it will be a giant SPOILER for the entire My Blood Approves series if you have not read it yet. It’s not going to go into enough detail, however, to substitute reading the books if you have never read them, and I would not recommend reading Swear if you haven’t read any of the previous books – otherwise it will most likely be very confusing. This post is more intended for people who don’t have time to do a re-read or simply don’t want to – and also to highlight important parts for people that are doing a re-read. It’s basically like an extended written version of the “Previously On” recap they do at the beginning of TV shows. I didn’t include the novella Letters to Elise because the recap/summaries are already super long, and it’s not strictly necessary to read the novella (although it does shed some light on a few things). As many of you may know, I create playlists to listen to while writing. The music included on the playlist is meant to capture the feeling and tone that I’m striving for with the book, and sometimes songs inspire entire scenes or are mentioned in the book. The final book in the My Blood Approves series was no different. The full list of songs I listened to while writing Swear added up to 52 songs. I narrowed it down to the best 18 that fit the feel of the novel. My favorite song on the list is The National’s “Fake Empire,” which inspired a particularly sweet scene in the novel.